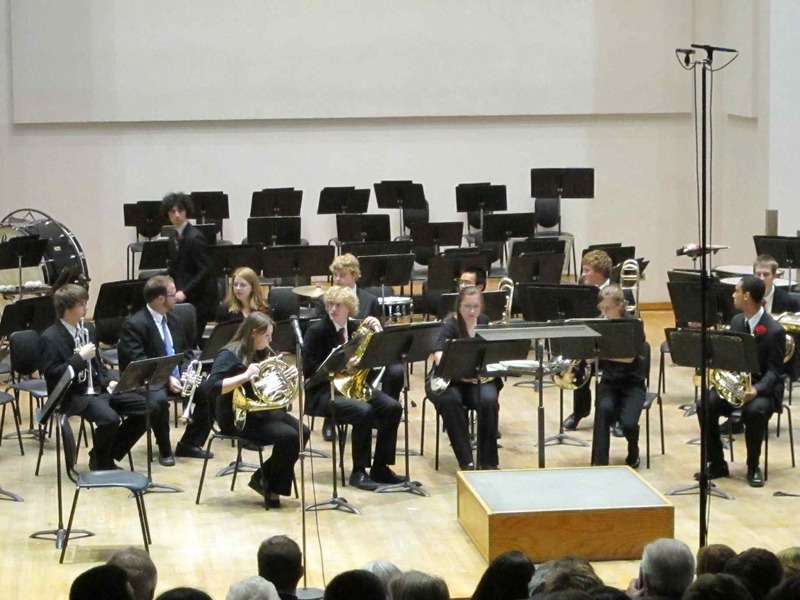 On the afternoon and evening of Sunday, May 21, I attended several of the springtime Bolz Family concerts by Wisconsin Youth Symphony Orchestras. 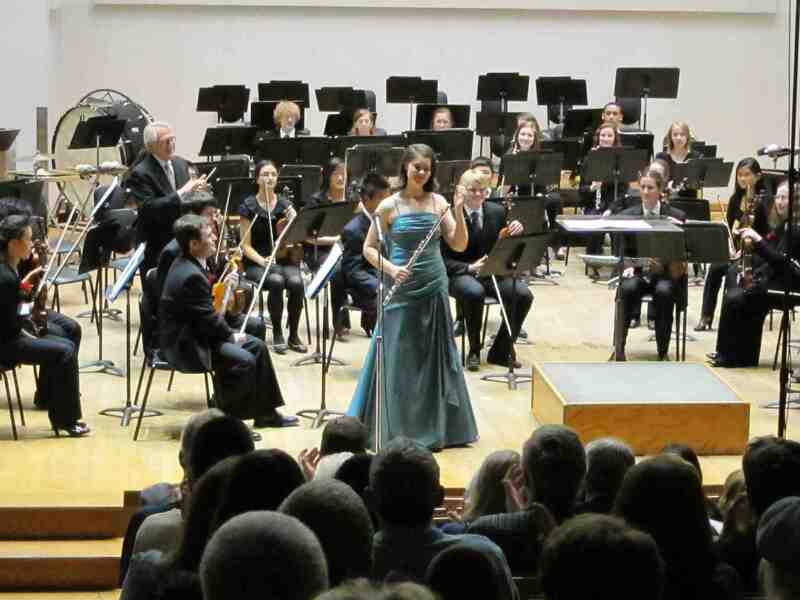 These concerts are one of the annual highlights and treasures of the entire concert season. 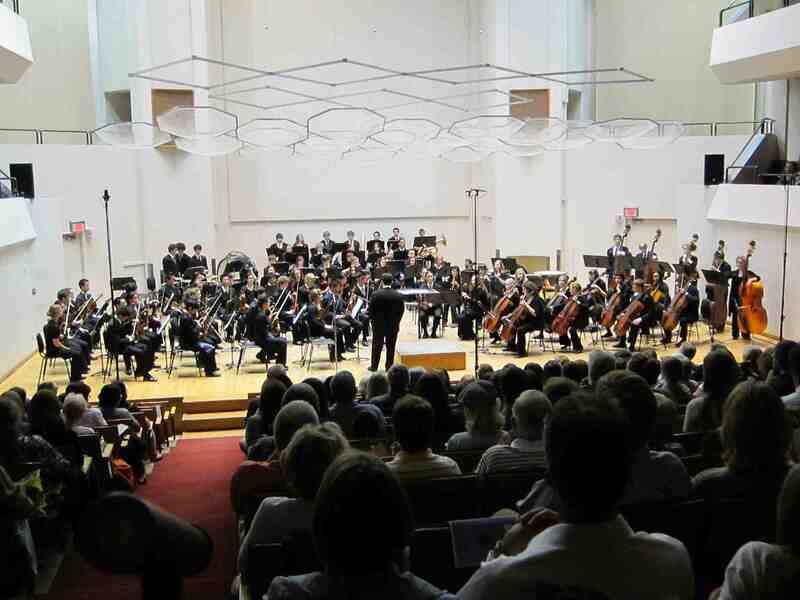 They give hundreds of young people (middle school and high school students) a chance to show appreciative audiences — who include lots of family and friends as well as strangers — just how much their musical skills have improved during their study with WYSO. 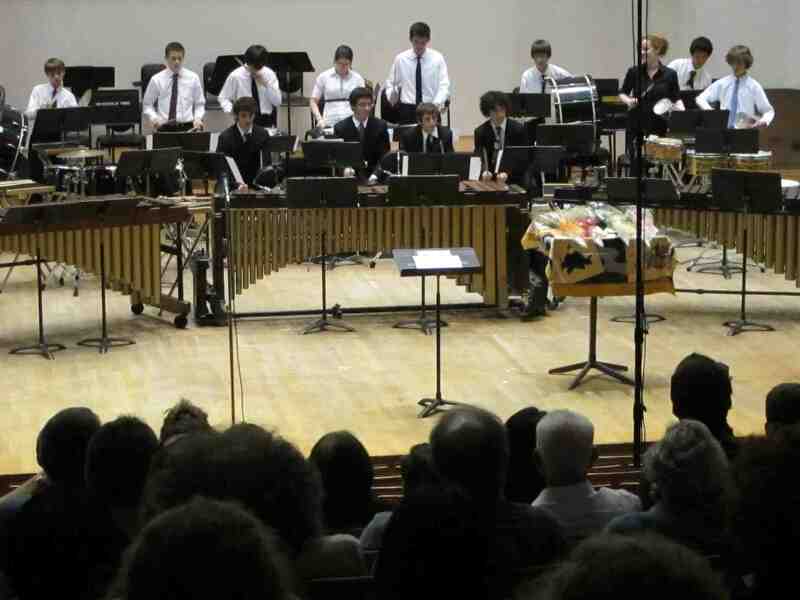 I did not see all groups, but I did see and hear the warm-up bands of the infectious Percussion Ensemble (below top) and the lyrical Harp Ensemble (below bottom), smaller ensembles that performed shorter programs before the bigger groups and longer programs. 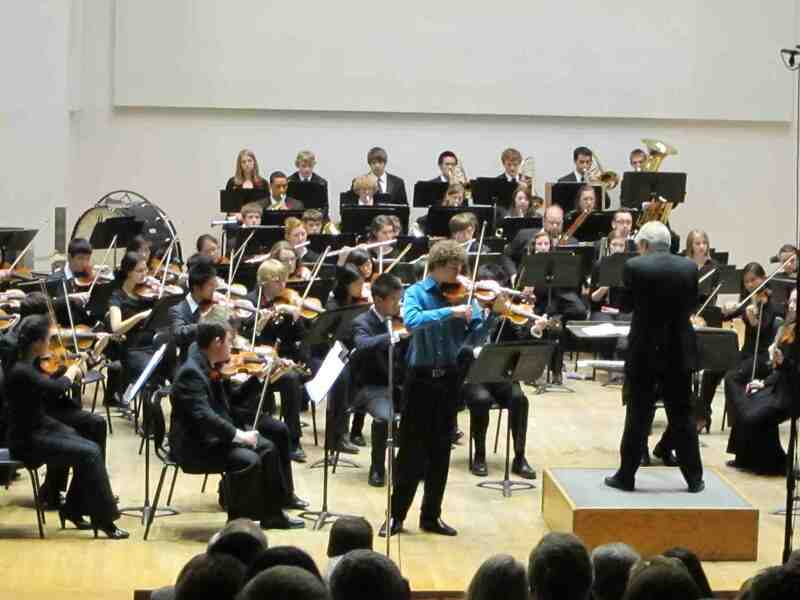 I also heard the Philharmonia Orchestra under conductor Thomas Buchhauser (below top) and the top-of-the class Youth Orchestra (below bottom) under conductor Jim Smith. Then most of them blended back into the ensembles after their solo performances. It was a great and memorable lesson in teamwork as well as individual accomplishment. All of the many groups chose a good variety of music with different or contrasting traits. 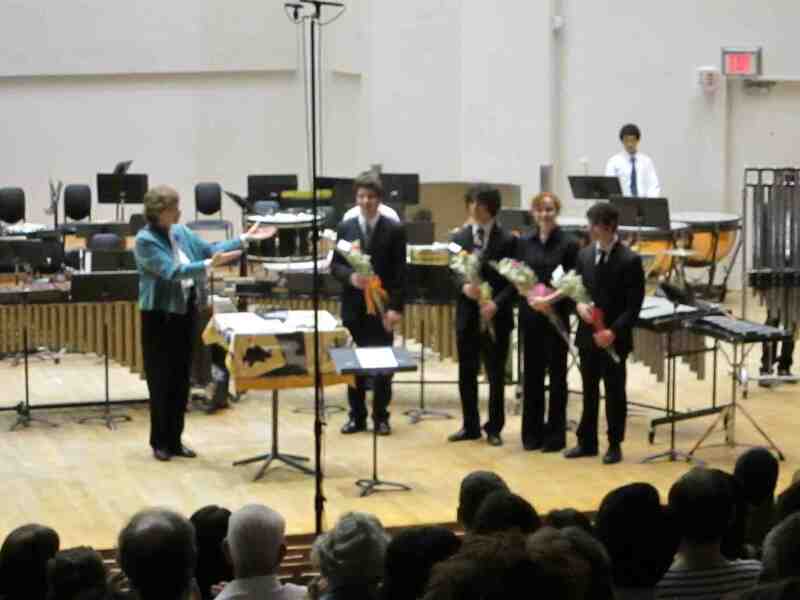 The music was also chosen to appeal to the audience, and it did. 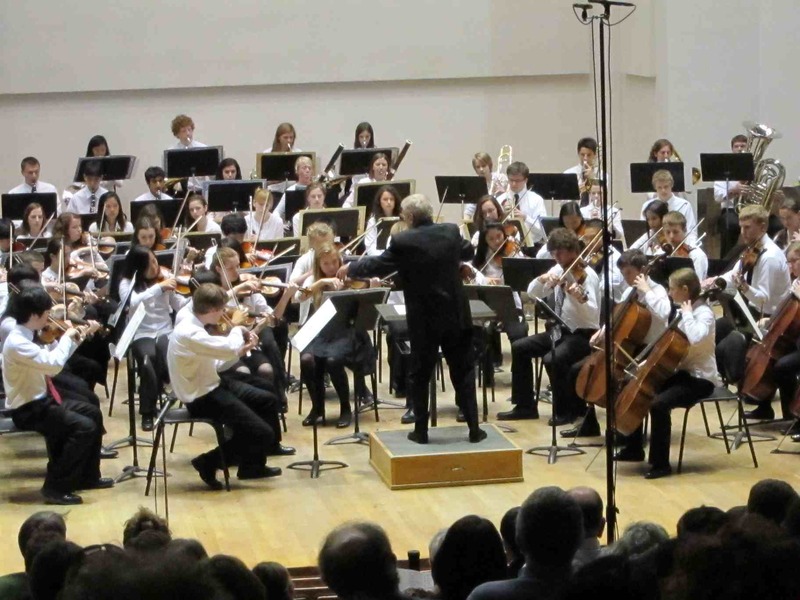 The playing was first-rate for a student orchestra and attested to the high expectations and equally high achievements of WYSO. I relished seeing young women in nontraditional roles such as percussive drumming, although I also did wonder why the harp seems to attract only females. A very nice touch was the recognition (below) — via bouquets and red rose boutonieres of the graduating seniors who would not be returning. Similarly, I liked very much the time that WYSO director Bridget Fraser (below) took at each concert to publicly acknowledge sponsors and supporters, including the Dane County Cultural Affairs Commission and private foundations like the Evjue Foundation as well as parent volunteers. 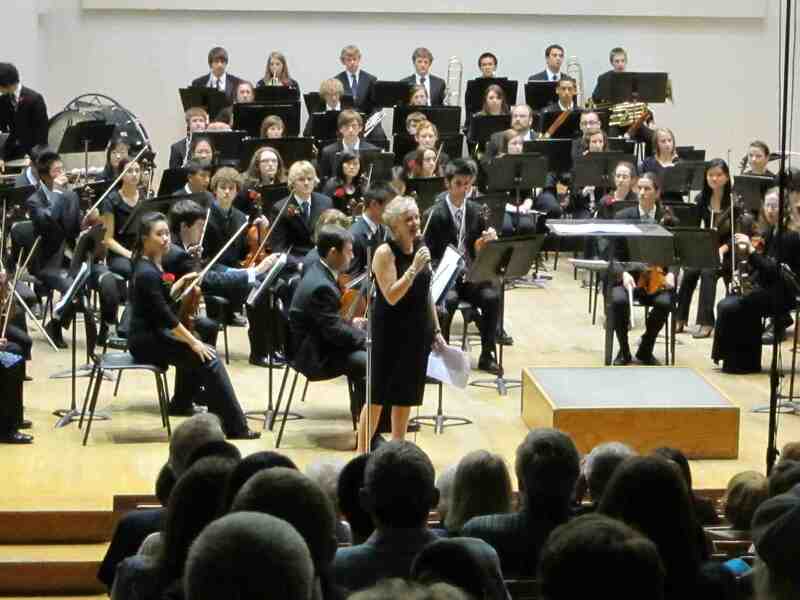 That is vitally important recognition during hard economic times for both the public and private sectors, and at a time when funding for all arts education is becoming more difficult to secure. My one minor criticism is that the concerts often ran quite a bit longer than the 1 to 1-1/2 hours that was advertised, possibly because they combined smaller groups with larger groups to cut down on the total number of concerts and to fit them all into one day. But I did see younger children and even some adults begin to become restless or even doze off. WYSO should adjust either the advertising or the concert programs so that they match. 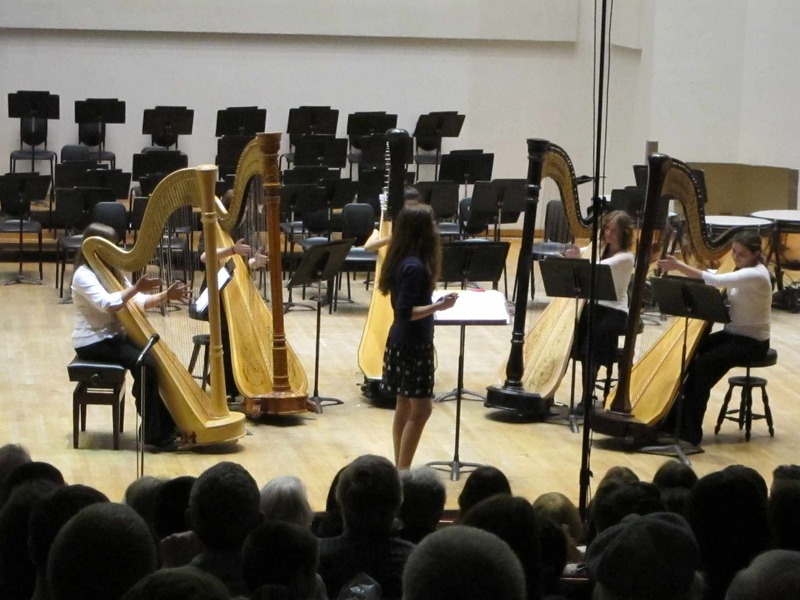 In my experience, the MYSO concerts draw a much different audience than you usually find at classical music concerts. You can tell by the younger ages, the lack of suits and ties and the prevalence of bluejeans and shorts. 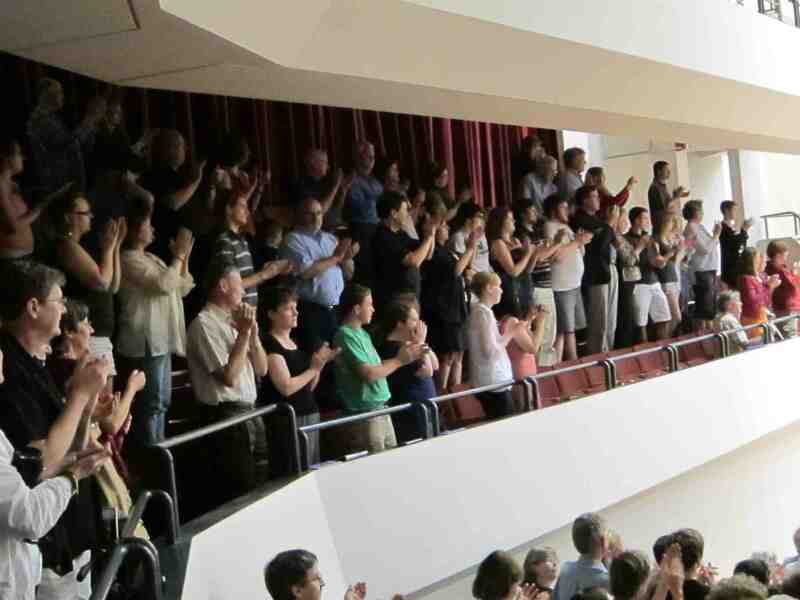 You can also tell by how they cheer and applaud, whistle and holler, even when the student musicians first walk on stage. 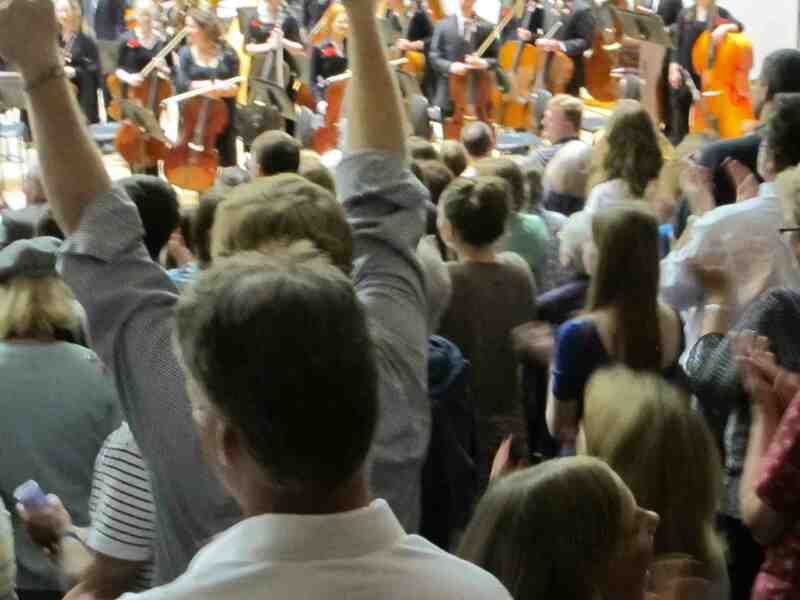 These audiences are not staid concertgoers, and that is so refreshing. I was pleased to see the large number of young and very young children (below) being exposed to great music (Mozart, Dvorak and Carl Nielsen) and to fine music-making, even if many of them are siblings and friends of the performers. Perhaps they too will end up becoming hooked on classical music and joining WYSO. At least they might respect the arts as much as sports. 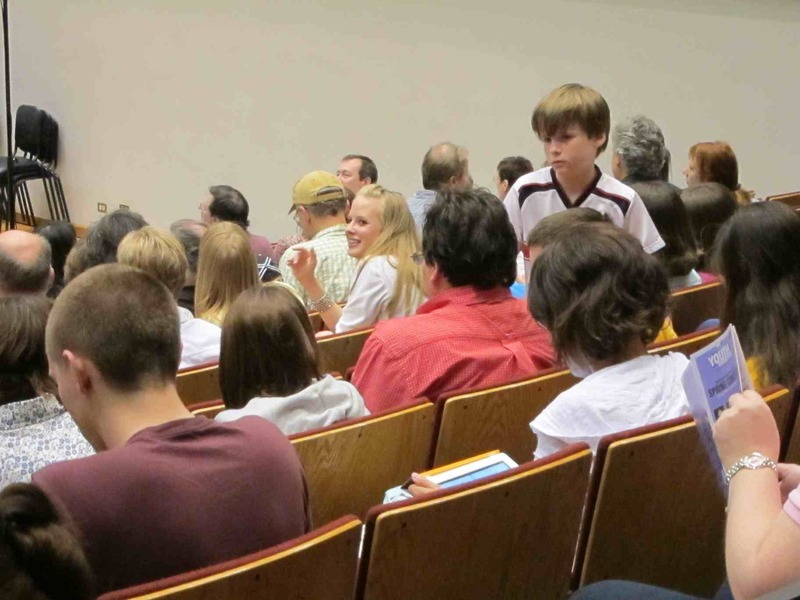 The same goes for many of the young parents I do not normally see at other classical concerts. 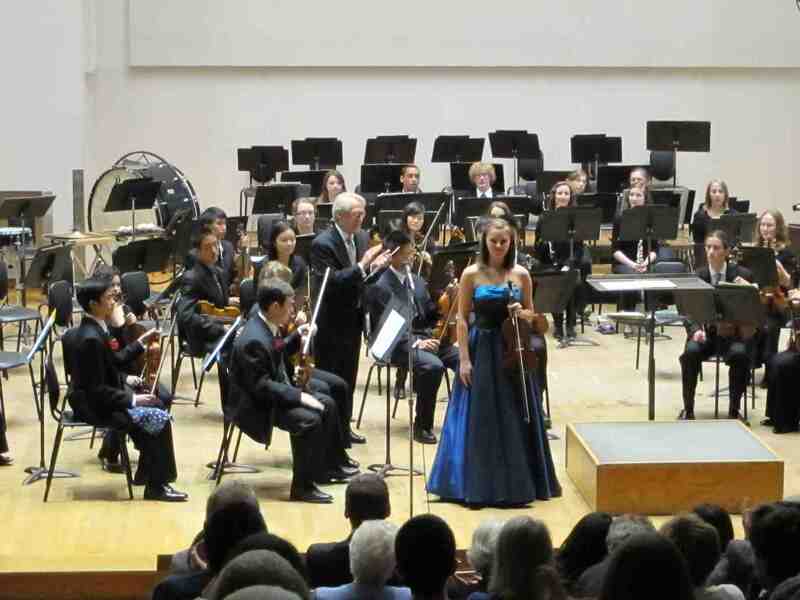 My guess (or maybe hope) is that these concerts not only expand the public for classical music but also help WYSO to recruit students and parents as well as sponsors for coming years. It is a truism that the best money spent on education and training, and these WYSO performances prove that to my mind., In the current tight fiscal environment education projects should have an even greater priority for support. 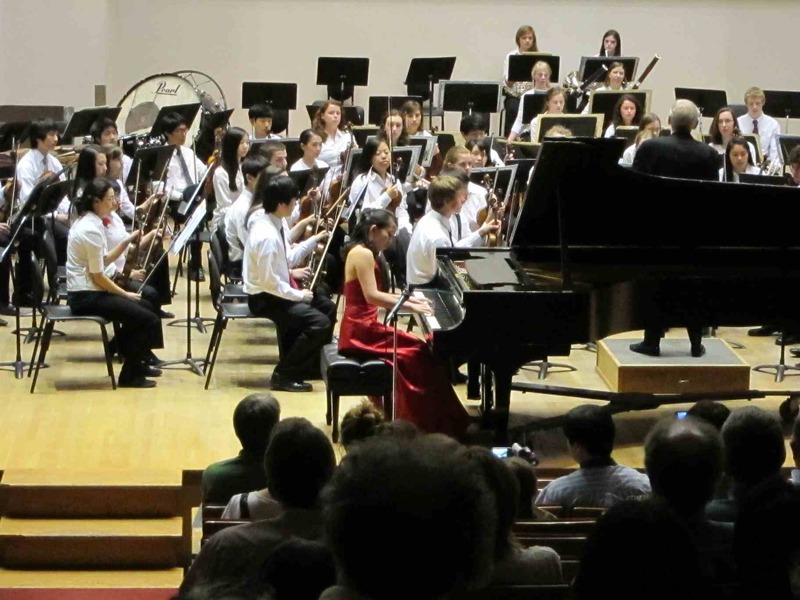 These concerts are the first steps in life-long learning. Thanks to WYSO, I think I have a new rule of thumb for giving: The lower the age of the recipients, the bigger the grant or donation should be. As a WYSO participant or parent, what do you think? As a member of the public, what do you think?